EDINBURG — Rio Grande Valley FC, the USL affiliate of the Houston Dynamo, announced several roster moves on Thursday ahead of the start of the 2018 USL season, pending league and federation approval. Defenders Kai Greene and Omar Ontiveros, midfielder Nicolás Perea, forward Francisco Pungo and midfielder Todd Wharton will return to the club for the new season. Greene and Perea were signed to new contracts and Ontiveros, Pungo and Wharton had their 2018 contract options exercised. Greene and Wharton have been with the team since its inaugural season in 2016, while Ontiveros, Perea and Pungo joined in 2017. Five new players have also signed with the club — DF Kyle Adams, GK Nico Corti, DF Conor Donovan, FW Jesus Enriquez and GK Matt Sanchez. In his tenure with RGV FC, Greene has played in 50 games, scored one goal and dished two assists. Last year, the 24-year-old joined the Dynamo for two games during the Lamar Hunt U.S. Open Cup. This season, Greene will be playing under a familiar face, as RGV FC’s newly appointed head coach, Gerson Echeverry, was Greene’s collegiate coach at Seaton Hall University. Ontiveros will return for his second season at RGV FC. The 22-year-old signed with the Toros in May after being identified during a team open tryout in January. Before signing with the Toros, the Pharr native played for the Santos Laguna U-20 squad in Mexico and played for Club Sportif-Grevenmacher in Luxembourg. Perea played in three games for the Toros last season, completing better than 85 percent of his pass attempts in limited action. The 25-year-old Colombian played collegiately at Syracuse from 2011-14 and saw action in 76 games with 73 starts, scoring 10 goals and recording three assists. Pungo will return for his second season with the Toros. The 19-year-old played in 13 games during the 2017 season. Pungo arrived in the Rio Grande Valley last year on loan from Club Deportivo Escuela de Futbol Carlos Sarmiento Lora in Colombia. The Cali, Colombia native trained with the Dynamo during the 2017 preseason. Wharton will be returning for a third season at RGV FC. The Richmond, Virginia native played a key role for the Toros during the 2017 season as he played in 30 games and started 24. In week eight, Wharton scored a game-winning goal against the Swope Park Rangers on a back-heel pass from MF Eric Bird, earning USL Goal of the Week accolades and a spot for Wharton in the USL Team of the Week. Adams, a New Zealand Youth International, will join RGV FC pending receipt of his P-1 Visa. The defender represented his home country at both the Under-17 and Under-20 level and played collegiately at San Diego State University. In three seasons for the Aztecs, he earned United Soccer Coaches All-Far West Region honors three times, becoming just the fifth student-athlete in program history to earn that accolade three times. Corti, a native of Westlake Village, California, was a key member of Stanford’s three-time NCAA Championship-winning side. He saw action in 33 games with 23 starts in his career, earning all 23 starts as a senior in 2017, helping lead the Cardinal to a third straight national title. He made 73 saves last season and conceded just nine goals for a 0.39 goals-against average, going 19-2-2 in his starts. Corti recently participated in the inaugural Dynamo/RGV Goalkeeper Combine at Houston Sports Park. Donovan joins RGV FC after spending the last three seasons with Orlando City. A former United States Youth International, Donovan joined Orlando City on a Generation adidas contract in 2015. With “OCB,” he played in 25 games with 29 starts over the last two years. Last year, he saw action in 20 games with 15 starts with Orlando City B, recording 83 tackles and winning 75 percent of his tackles. 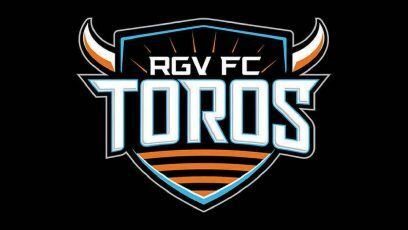 Enriquez, who holds dual nationality with the United States and Mexico, will join RGV FC pending receipt of his P-1 Visa. He spent the 2017 season with Club Tijuana in Mexico, playing for Xolos’ B team. The striker was called up to the first team for one game in the 2016 Copa MX Clausura, making the bench for the team’s game against Coras de Tepic on Feb. 17 of that year. Sanchez, a native of Owings Mills, Maryland, earned 2016 Patriot League Goalkeeper of the Year honors at Loyola University of Maryland to become the first Greyhounds keeper to earn that award in 14 years. After transferring from Old Dominion in 2014, Sanchez posted 12 shutouts and 195 saves in 48 games. Also the starting goalkeeper for the Puerto Rican Men’s National Team, Sanchez has participated in the U-20 World Cup, CONCACAF Finals and CFU Championships. In addition, he played every minute of the 2016 Olympic and 2018 World Cup qualifiers for Puerto Rico.